For use with two SnakePOWER supplies, or any two supply (outputs) having male jacks. MM2-I has two separate ground wires. Use with any two DC or AC power supplies, isolated or not. 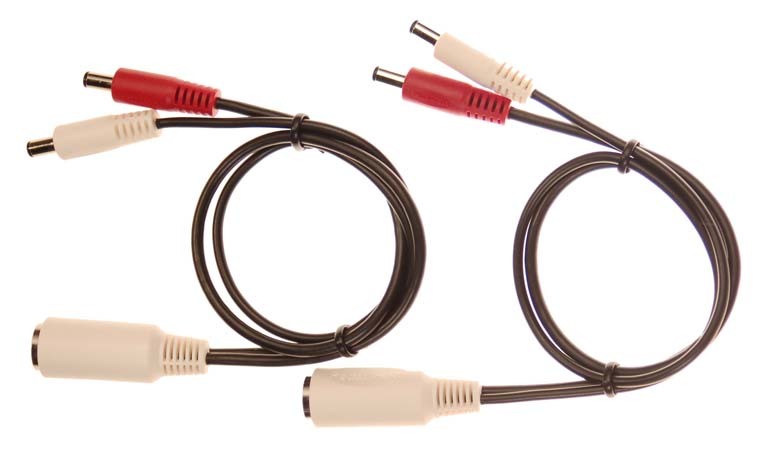 For standard power supplies, with a cord and female jack, use MF1-H, MF2, or MF2-I. These have a male end and a femalel end.